I LOVE POLPETTINE. These old-world Italian meatballs (which we should never confuse with American meatballs) are flavored with Parmesan cheese, fragrant herbs, and a big burst of lemon. Their deliciously-crispy crust is something to sing about, too. One bite and I was hooked. Note #1. Traditionally, polpettine (“poll-pay-TEE-nay”) is made with ground beef or pork. 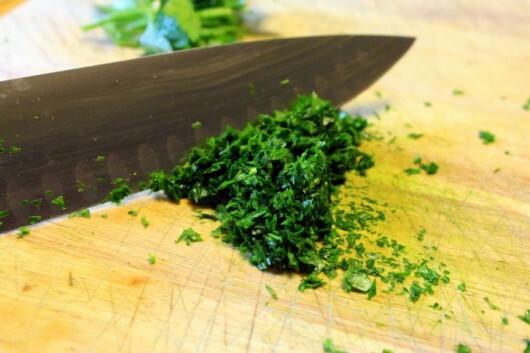 I make mine with ground chicken, because it picks up the fantastic herb-and-lemon flavoring so well. 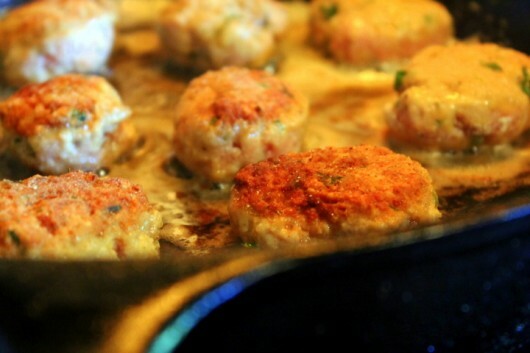 Ground chicken also cooks faster than pork or beef, because it’s practically fat-free. Obviously, low-fat dishes are important to me. Note #3. Let’s make these balls of bliss! To start, drop one pound of ground chicken (available in most supermarkets) in a big blue bowl. 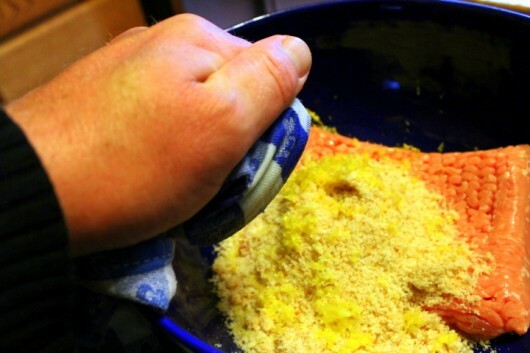 Add 1 1/4 cups of fresh breadcrumbs from high-quality bread. The highest-quality bread I know is homemade Pain de Mie. But Pepperidge Farm sandwich bread is terrific, too. Just grind the bread in a blender or a food processor. No gluten for you? Speaking from experience, gluten-free tapioca bread (ground into crumbs) works perfectly well in this recipe. And grate its gorgeous zest into the chicken mixture. I’m using my handy-dandy micro-zester in the photo above. 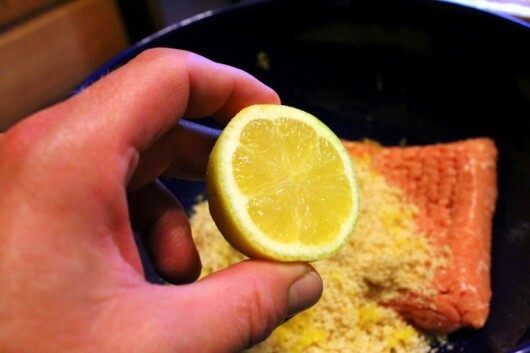 Cut the lemon in half, and then squeeze each half into the chicken mixture. Tip: If you don’t wish to dig out your juicing-gadget, just do what I do, and squeeze the lemon halves through a clean tea-towel. The towel will keep seeds from falling into the works. And two heaping tablespoons of grated Parmesan cheese. Thoroughly mix the ingredients together, and then form them into a ball. Ahead of time note: If you are not going to cook right away, just cover the chicken with plastic wrap and refrigerate for up to 24 hours. To give the balls a beautiful crust, first pour a little flour (or a gluten-free substitute — I’ve used Bob’s Red Mill baking mix with good results) onto a pie plate or a baking sheet. 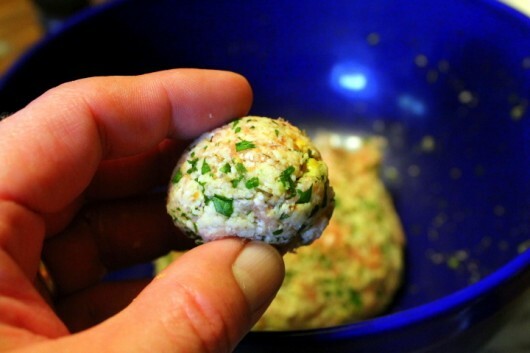 Then pull off heaping tablespoon-size clumps of chicken, and form them into little balls. Flatten each ball slightly (for faster cooking), and set them atop the flour. Flip to coat the other side. Aim for a thin, rather than thick, coating of flour. 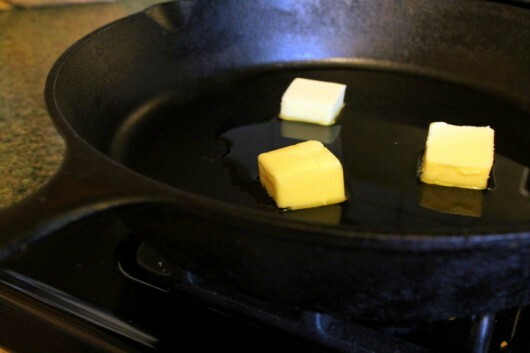 Then heat 2 tablespoons of olive oil and 3 tablespoons of unsalted butter in a large skillet. Working in batches (I fried 9-10 at a time), fry the segments until they color appetizingly — 4-5 minutes per side. 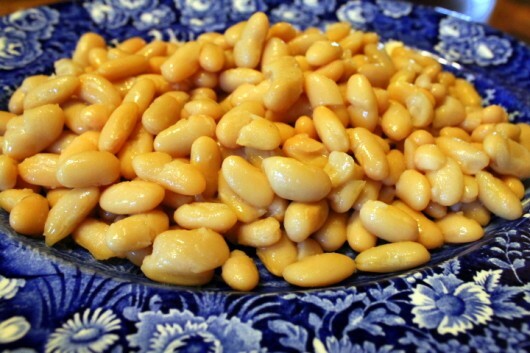 Or, even better — with warm cannellini beans, seasoned with a little salt and pepper. 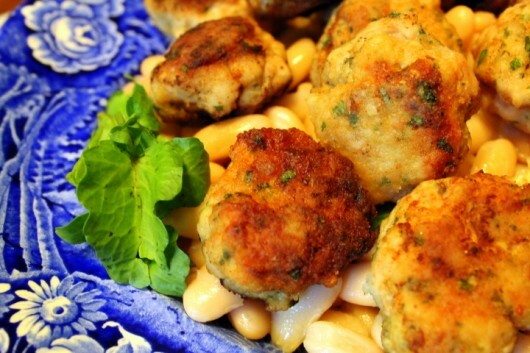 Arrange the chicken morsels atop the greens or beans, and bring to table. And then revel in the applause you are bound to hear. That no foodie can resist. And are you thinking what I’m thinking? Besides a delicious dinner dish, polpettine would make a fine cocktail appetizer, too. 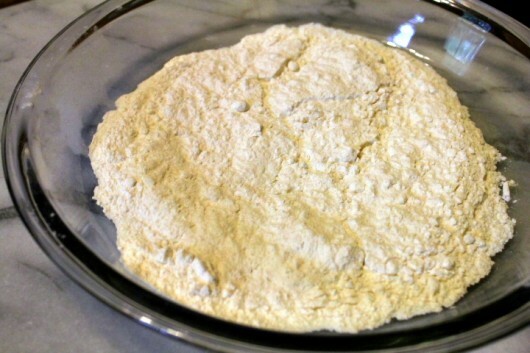 When you are ready to cook, pour the flour onto a baking sheet or pie plate. 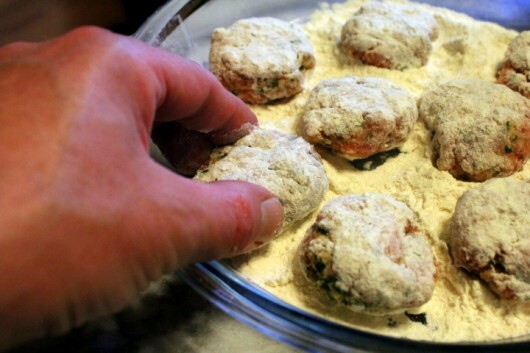 Form tablespoon-size clumps of chicken into smallish balls, flatten them slightly, and then lightly coat them in the flour. Heat olive oil and butter in a large skillet. Fry the segments until golden brown — 4-5 minutes (or slightly longer) on each side. Note: Traditionally, polpettine is not served with pasta or tomato sauce. It makes an exquisite entree all by itself, accompanied with salad greens or cannellini beans. Promise me you’ll try this Chicken & Lemon Polpettine some day. It’s quick to prep, fast to cook, and absolutely delicious to eat. 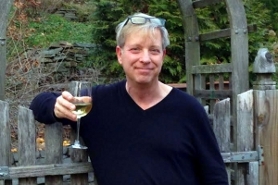 Don’t miss anything at A Garden for the House…sign up for Kevin’s weekly email updates. Just wanted to know if you heat the cannellini beans? Hi Rosiland Ball – Yes, heat the cannelli beans. I’ll note this in the article above. 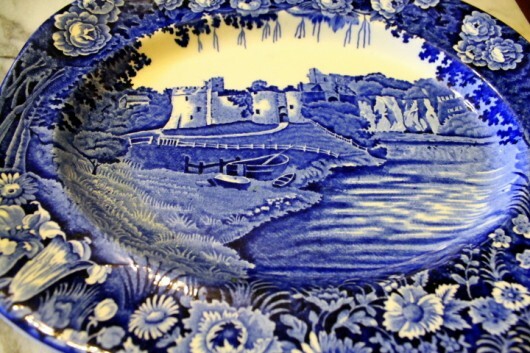 Robert Meehan – Well, you can always drown your sorrows in Polpettine! Looks wonderful, and all I need is the ground chicken. What white wine pairs up with this delish creation.? Kevin I notice you did not have an egg or two in the ingredient list. Do the polpetinni hold together well and firm? Hi Ann – Two white wine pairings: Sancerre (gorgeous and mellow, from the Loire Valley) and any decent, fruity Sauvignon blanc. For red (should anyone wonder) I can heartily recommend Morgan 2009 Crus du Beaujolais. Hi Lucy – Believe it or not, eggs are not necessary. 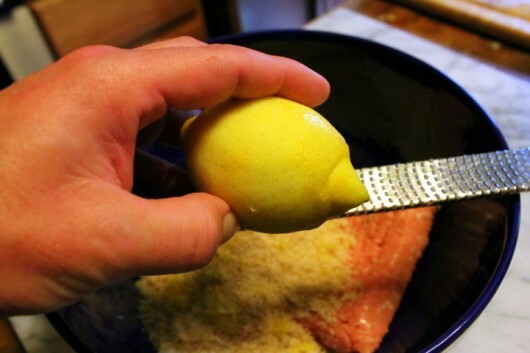 These lemon lovelies are tender inside, crispy outside, and firm enough to eat out of hand! another one I have to try asap…. looks delicious! I’m thinking Lily’s chances of losing weight are non existent. For supper I had my version of spinach soup and salmon on the side with two tortillas thrown in for good measure and because the soup was extra extra lite because I refused to throw away any of the stock and I was too lazy to freeze some and make the soup thicker. I remedied that by adding extra cheese. The end result will be improved concentration due to the folic acid in the spinach that’s my hope. I bet cilantro instead of parsley would be good too. I am suspicious of ground chicken (I only like chicken and turkey that “look” like they are chicken and turkey), but this sounds so good. Might try a little of each meat. Black beans with it sound good too. Thanks! I Promise! I will make them soon. For Annie B. If you’re suspicious of ground chicken, buy boneless, skinless chicken breast and grind your own, or ask your local butcher to do it for you. That’s what I do. Some cook them for a short time and some for 1-2 hours but as an Italian, I can assure you we cook meatballs in tomato sauces of all kinds. Since I don’t have ground chicken on hand, I may see how it works with ground beef… Sounds good, anyway…I like the tip about coating the meatballs in a fine layer of flour, too. I plan to try these using ground pork, not sausage, but pork roast. the processing now being used. Wonder if Basil would work instead of Parsley, forgive me, but I do not like the flavor of Parsley. Mmmmm, those look so good. I have tons of parsley in my garden still. And, I like Penster47’s idea of trying basil – might to have to try that (still have ton of basil left too). Come to think of it, I have a ton of rosemary. I bet almost any combination might be with trying. Your butternut squash soup is still my all time favorite! I shared your website with a friend who loved it when I made it for her. 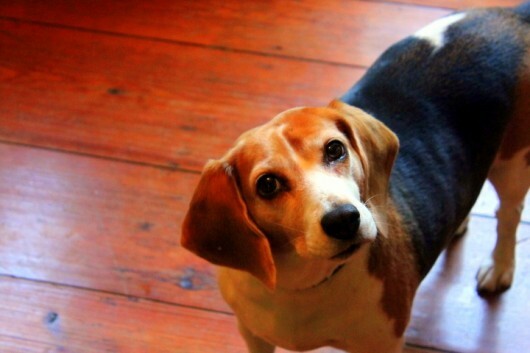 One last thing… I LOVE the Beagle photo bomb in the blue bowl pic! Thanks for the recipe. As I had all the ingredients on hand, I made them for dinner tonight. Delicious! Just had to tell you,made them tonight for dinner with ground beef and they were wonderful. 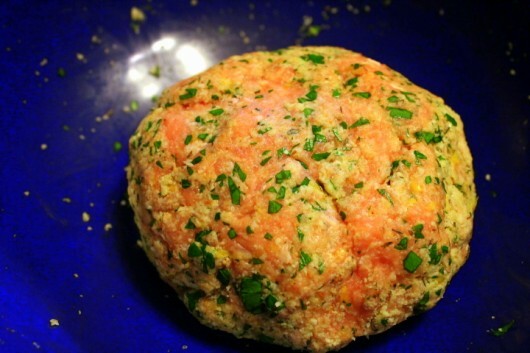 If anyone is tired of hamburgers …..you must try this recipe……it is forever in my recipe box. Think I’ll give this a shot with the pound of ground pork I picked up at the Asian market the other day. I’ll probably use some fresh lemon thyme in place of the thyme and lemon zest, since I haven’t any fresh lemons available in my fridge at the moment, and I don’t feel like going to the market again this week. 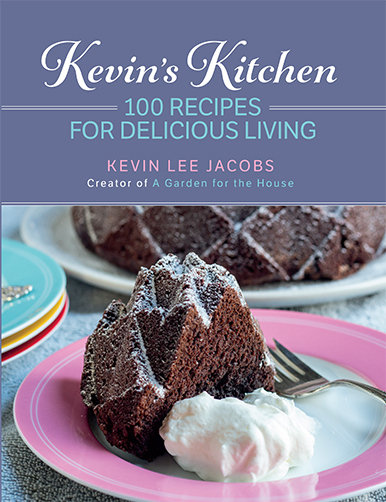 Thanks for another winner recipe Kevin. I had all ingredients on hand except the ground chicken, so I substituted ground turkey instead. I followed your recipe and used Milton bread for breadcrumbs. Then I served them with Seeds of Change brown rice and quinoi and simmered that with the canneloni beans in chicken broth. This truly is a delicious recipe and as you suggested, I took a bow at the dinner table. Kevin, thanks for this tasty recipe. I put them together yesterday (easy) and cooked them this morning in time to take to our regular Sunday Steeler Breakfast. 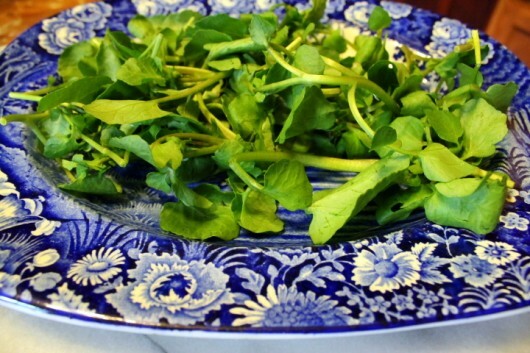 Makes a great appetizer and a good side dish with eggs. Everyone liked the lemon taste in them. Will make again. I made these too and everyone loved them. I’m always happy when I can find something new for my picky eaters at home. For GF I used Rice Chex pounded into crumbs instead of the breadcrumbs. They were wonderful with a white wine reduction sauce, like grown up chicken nuggets. 🙂 Very smooth and decadent. Next time, and there will definitely be a next time for this recipe, I will add a little freshly ground black pepper to give a little kick to the lemon zest. Thanks for the recipe! A friend suggested I try ground flax seed instead of bread crumbs in my meatloaf, and it’s wonderful. Do you think that would work as well in these? Terrific! 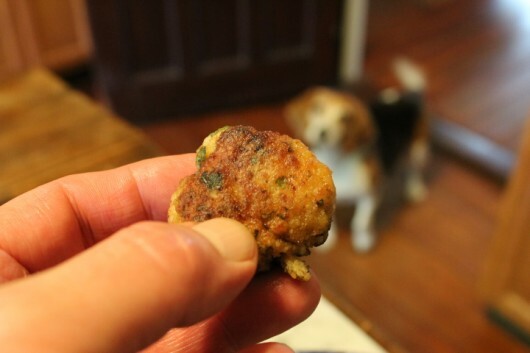 A small meatball without tomato sauce! I served them on a bed of Parmesan noodles, topped with lightly sautéed fresh spinach, the polpettine, topped with a little fresh coarse grated Parmesan cheese. I was looking forward to making them, and they lived up to the expectation! Passed the acid test of the husband as well! Brightened Tuesday night dinner, thanks! Kevin, I have to leave out the parmesan cheese. Do you think I should substitute an egg or do you think they’ll hold together without any substitute? When is your cookbook coming out? I want it! 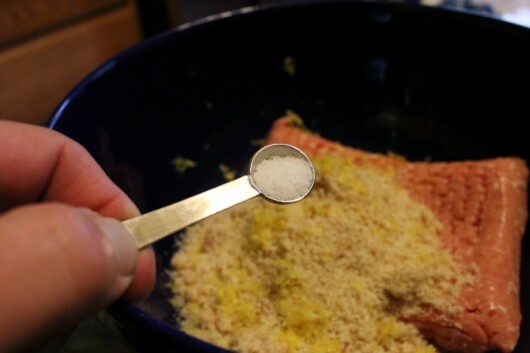 Another poultry goodie is lean ground turkey, parmesan, Italian breadcrumbs, beaten egg, a T of tempura sauce or low salt teriyaki, and skip the salt. I sometimes add 1 minced scallion or 1/2 tsp minced garlic, or maybe a tiny bit of minced fresh ginger. Measurements similar to your recipe- I just wing it (pun intended). Add-subtract- substitute ingredients to your taste. Tempura sauce can be hard to find, and I’m sure other Oriental sauces would work well if not too salty. In a pinch I’ve substituted light ginger soy salad dressing. Form into 1″ balls and refrigerate for 20 minutes. I sometimes glaze them lightly with more tempura sauce and bake them at 375 degrees. Broil or use convection briefly if desired for crispness. To test for flavor before cooking I nuke one or more and sample- a perk of being the chef. They freeze well for about a month- maybe longer but I haven’t tried. Just nuke a few and add a salad for dinner. I’ll try your recipe soon- It’s making me hungry just reading it. Stay warm over this wicked blizzard week. Im moving in…..move over Lilly! I made this tonight.. My family LOVED it! Looks to be delicious…………..will try. Just need to know if Lily got one (or two) and what her opinion was? This dish is another one that I have on my list. I’m making it this Wed. Very excited-serving with lemon fizzy tom collins and simple syrup, long cold glasses and crushed ice. These look so yummy that I may try them for a work pot-luck. These seem like they would be a tasty little treat and a fantastic way to use ground veal from my freezer. Can they be prepared ahead of time and reheated in the oven? Do you think they will remain “crispy”? Can’t wait to try these, I might have to have a party! Looks good Kevin. I would like you to teach me about that cast iron skillet. I do not seem to have luck with mine and either burn on it or cants get it clean. Maybe an upcoming article? 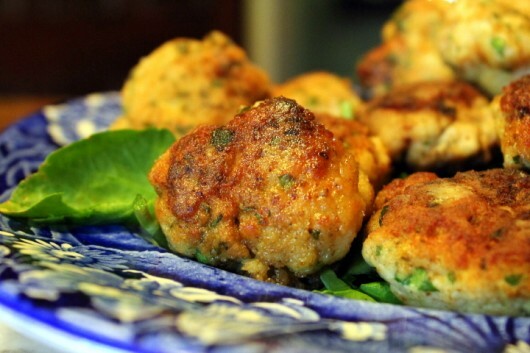 These meatballs are quick and delicious. I’ve added them to my “go to” recipes! Thanks, Kevin! Loved these so much! 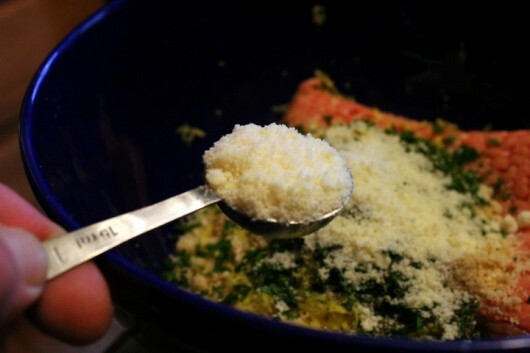 But I know you meant to tablespoons of Parmesan… Not to teaspoons. There seems to be a discrepancy between the printable recipe and your excellent photo explanation. Fortunately, I am very visual and so I went with the photos, not with the recipe. I also just want to say you…and Lily rock! 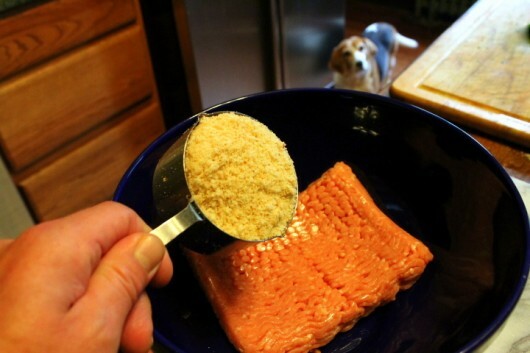 Hi Sandi K. – Yes, 2 tablespoons Parmesan cheese. Copy-and-paste version is corrected now. Glad you liked the polpettine! Leftovers for lunch today with salad. Can’t wait to make them again…and neither can my husband! these are so my favorites! Just made them again…just for a snack! I cook them, eat a few fresh out of the skillet, with a glass of Desoranno. I refrigerate the rest. In a day or two, if I have not eaten them all, I freeze the remainder and pop them out to eat out of hand when I’m on the go!!! Can I bake them instead? I grew up going to church every Sunday smelling like fried meatballs! I would prefer to bake. Looks yummy. Yes, this chicken recipe sounds sooooo good. It was -31 degrees here yesterday a.m. so cooking and baking would work good for today….another cold one. We have to go gf so thanks for the suggestions. I am so happy that I ate lunch before I read this recipe- I am always starving when you send along your mouth watering morsels of cooking suggestions. The holidays are going to be more delicious than ever by following your tips. I remember making eggplant polpettine, and often make 4 dozen Swedish meatballs having ground the chicken using my Kitchen Aid mixer with the grinding attachment. It’s alwasy better to buy good chicken and do that. I also make them gluten free for my husband. These sound like a delight today as it’s chilly out and we’re putting up our tree. This should be the perfect nibble to accompany that with a white wine. Thanks for posting another winning recipe, Kevin. A word I have never seen in print… “polpettine”. I haven’t noticed ground chicken in my grocery store, but neither have I searched for it. I think this dish is beautiful and enticing. This week I’ll be browsing more seriously to see if I can locate ground chicken. Thank you Kevin. I make these quite often and do serve them with a simple tomato and garlic sauce with pasta. 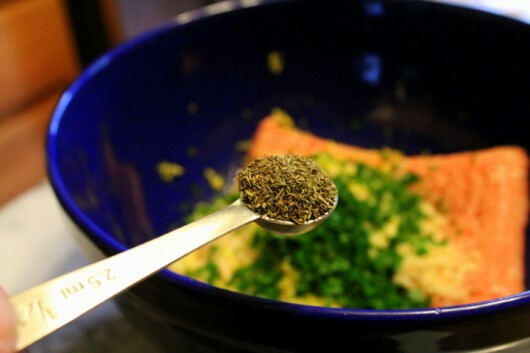 I tend to add tarragon – so delicious, plus I always buy chicken meat and grind it myself in the food processor as I fear what’s in pre-ground meat. OMG–serious yum! I’m making these this week. Thank you! My taste buds are salivating with the thought of this dish. I love, love chicken used instead if beef. I made these for dinner this evening after locating ground chicken in our usual grocery store. My own parsley (still going under frost cloth) and my own thyme went into the mix. The kitchen was fragrant with the aromas of lemon and chicken. I served the meatballs on a bed of steamed snap peas. We consumed half between the two of us, saving half for another day, but it won’t be too long because I can’t wait. Really delicious! Unique and unexpected citrus tones for a “meatball”. Husband’s declaration of “You can serve these to company!” says it all. Thank you Kevin! Hi Beverly – Thanks for the review! I made these last night. 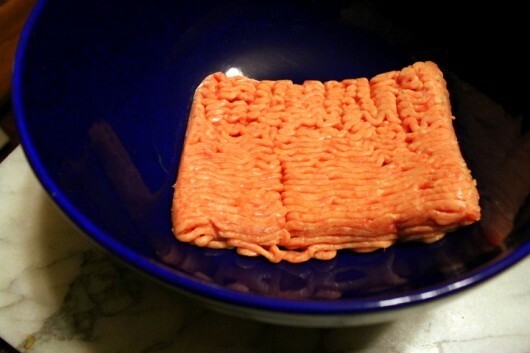 I used ground turkey, as that is what I had. I heated the white beans, added a drizzle of olive oil, fresh thyme, and a small diced fresh tomato. I let the bean mixture heat, then put the beans on a bed of romaine, and the meatballs on the beans with a sprinkle of pecorino, again because that’s what I have. Fabulous!! I would make this for company! We LOVE these! I make the GF version, and we’ve served them to the most discerning guests who clamor for more! So…I found myself wondering if instead of making meatballs, would this work as a Chicken Lemon Loaf (like a turkey loaf)? If so, how would you alter the recipe/cooking time? 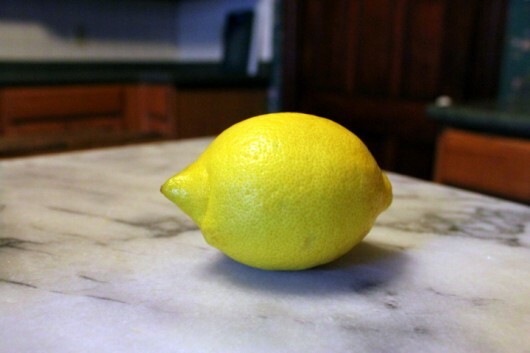 Hi Kevin, I’m a huge fan of lemon flavor in just about anything. I made these when you first published the recipe and served them as you suggested with a side of spaghetti lightly dressed with olive oil, Meyer lemon, fresh garlic and thyme. Heavenly! Watched the video. It was great to hear your voice and Lily’s baying cracked me up! However, it wasn’t clear to me how to comment directly from the video. Can I substitute something else for the beagle? I don’t have one. I’ll try this anyway. Cynna – Copy the recipe to a Word document, then change to left-hand alignment and de-select italics. Loved your presentation dish! I have a similar one. Please don’t tell me you have a SET!! My lemon tree just gave me two wonderful lemons. What a perfect recipe to use them with. Thanks for all you do. Love the posts. Kevin, I’ve made this recipe at least 6 times as main course, appetizer, party finger food…. The ingredients and instructions are perfect. The only fault I find with this recipe and others you’ve published is when served for guests. They have a tendency to invite themselves back for another dinner while specifying which dishes they prefer I cook. Hmmm. I took a plate of these to an Oscars party last night – they were great!! I decided to try this at the last minute and had to make substitutions. For bread crumbs, 2-3 slices of extrasour sourdough sliced bread; used tarragon instead of thyme; rolled in almond meal instead of flour; used just olive oil for cooking. Totally YUM!